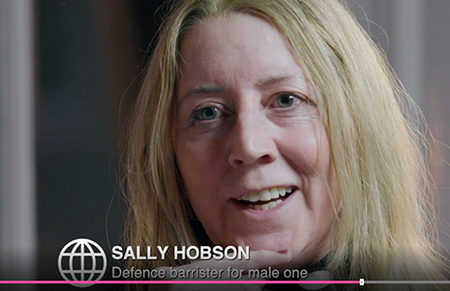 Sally Hobson appeared in Monday evening’s Panorama programme examining some recent miscarriages of justice due to failures in the system and her own experience of this. Everyone has the right to a fair trial, but how sure can people be that, if it came to it, they would get one? Panorama reporter Katie Razzall investigates cases where crucial evidence had not been investigated by the police or where evidence had been withheld from defendants. Head to BBC iplayer to see the full programme.